It’s important to consider the type of seating you have in your worship area. The congregation does have to sit there after all. Are the seats comfortable? Do you have enough seats for your entire congregation? Maybe the number of visitors is increasing and you’re running out of space. Or maybe you’re trying to decide between pews or chairs. Chairs can offer a lot of flexibility when it comes to seating. They can easily be added to accommodate overflow for a worship service. They are just as easy to remove on days when attendance is low. Chairs are also relatively easy to store. If you have an empty closet or room, you can keep extra chairs there without taking up too much space. However, you do want to keep in mind what those chairs will look like sitting in your worship area. While metal folding chairs can be easy and affordable, they are not very attractive. Wood chairs are beautiful, and depending on the design can be just as easy to move and store as metal chairs. Facility isn’t the only thing to consider when trying decide between pews or chairs. The architecture in some churches does not lend itself aesthetically to chairs. If the inside of your sanctuary is tall and grand, rows and rows of seats can end up looking timid and puny. Your worship space should be inspiring and inviting. Sometimes long elegant church pews are the better option. Why decide between pews or chairs though? Why not do both? You can have pews be the main seating fixtures but have chairs in storage to a help on busy days. Chairs are more individualist where pews are more communal. While church is a place where people come together to worship, some members prefer for their worship to be a little more individual and contemplative. Having both options, pews and chairs, can be a good way to accommodate those who prefer community and those who prefer privacy. 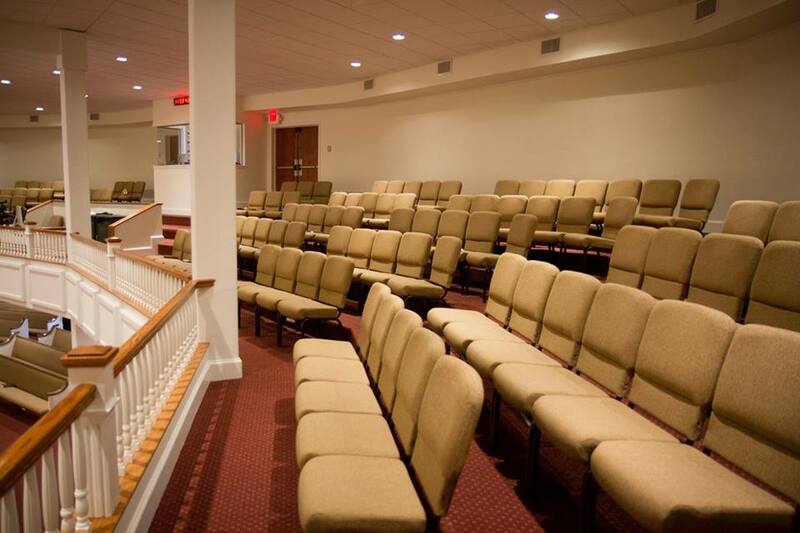 The choice is yours when it comes to church seating, but whatever you decide on we can help. We build custom church pews and church chairs that we know you and your congregation will love.